“I want him big,” Seahawks coach Pete Carroll said of new running back Eddie Lacy, known for being big, and for his love of China food. But maybe not that big. Maybe not as big as he is now. Lacy’s contract with Seattle is heavy on the incentives. There’s nearly $3 million in guaranteed money, and almost that much again in incentives, with $385,000 tied directly to his weight. The numbers are 255 pounds in May; 250 pounds in June and August; and 245 pounds in September, October, November and December. How realistic are those targets? Where’s he at now? Lacy’s fitness was an issue for years in Green Bay, presumably affecting his play to the point where he even lost his starting role in 2015. He had a strong start last season, but ankle surgery cut his year short. Seattle is hoping he’ll bring a power dimension to a crowded backfield that includes Thomas Rawls and C.J. Prosise. 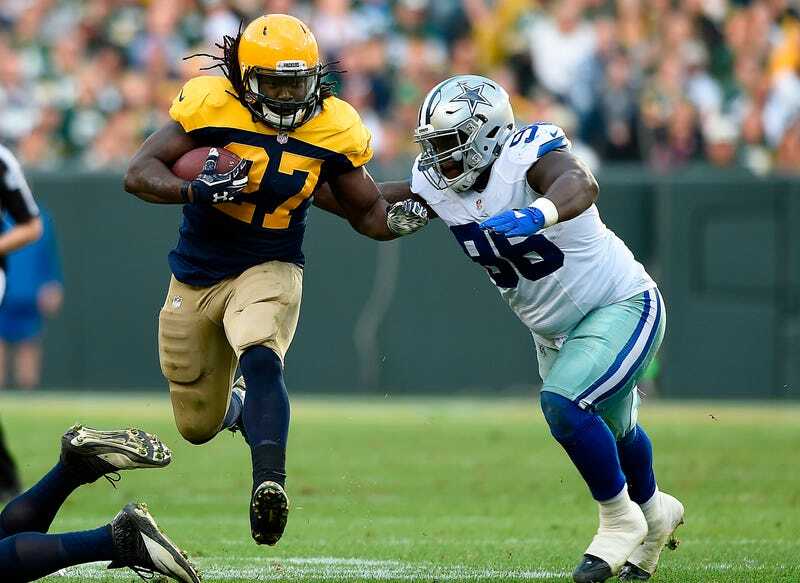 It’s a one-year deal for Lacy, who’s still just 26 and in his prime, and he’s hoping to parlay a successful year into a big contract next winter. Of course, with the evolution of NFL strategies (and philosophies), running back might be the single most devalued—and interchangeable—position in the sport. By now everyone knows that a back’s importance pales in comparison to the blocking he gets, and Seattle’s offensive line is not a good one. Seattle is counting on improving its O-line via the addition of the hugely disappointing former second-overall pick Luke Joeckel, and that doesn’t bode well for Lacy’s prove-it season.